In a fractious family that consists of a boorish father (Francis Guinan, on a roll) and a sweet but shrill mother (an endearingly neurotic Molly Regan) who are both writers, a pretentious and schizophrenic brother who’s working on a thesis about the shortcomings of language (a manic and constantly engaging Steve Haggard) and a self-indulgent sister with designs on becoming an opera singer (the Keira Knightley-ish Helen Sadler), Billy (John McGinty, gentle and patient) serves as the grounded sibling that holds the family together and listens as each of his egocentric family members expounds, exults or expostulates. And Billy is deaf. When he meets the charming Sylvia (Alana Arenas) at a party and brings her home to meet his tribe, er, family, we get a glimpse of just how cutting their remarks can be as they pick apart the subtleties of language. Arenas is nothing short of remarkable here, giving a touching, nuanced performance as a woman with deaf parents who has grown up hearing but is now slowly going deaf herself and feeling torn between two worlds. 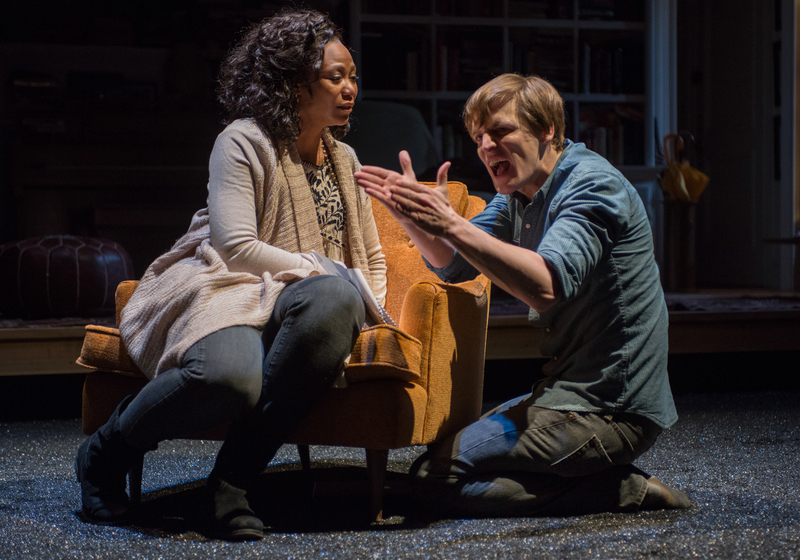 Her romantic relationship with Billy, and his subsequent introduction to the deaf community that his hearing family has shielded him from his entire life, serves as the turning point in playwright Nina Raine’s narrative. Steppenwolf Theatre, 1650 North Halsted, (312)335-1650, steppenwolf.org. $20-$82. Through February 9.